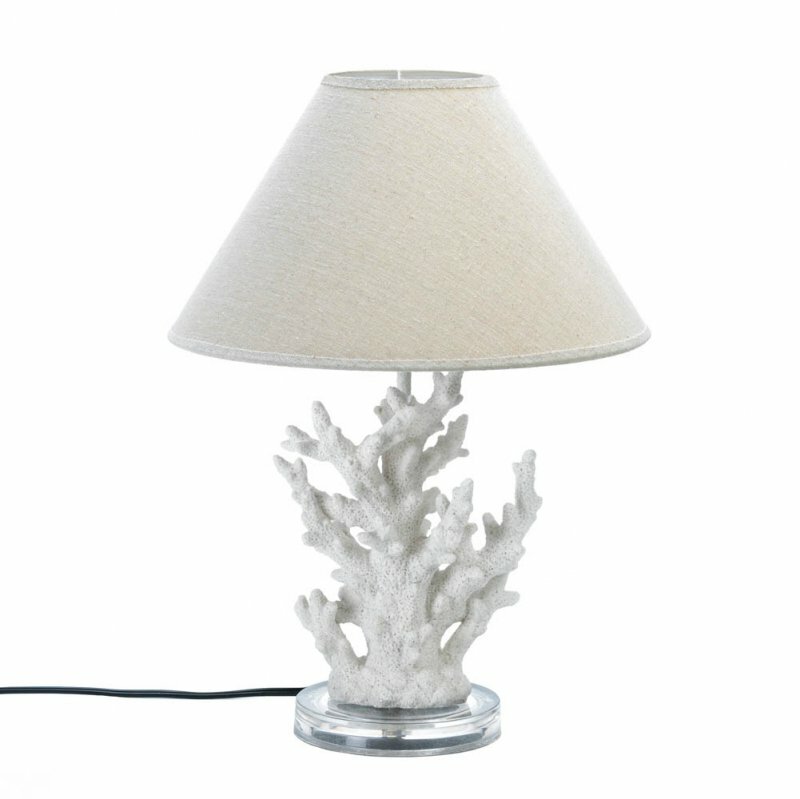 This stunning table lamp features artistically rendered ivory sprigs of coral topped with a handsome neutral-color shade. 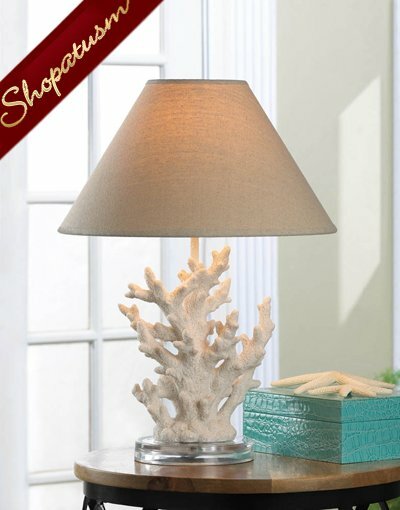 Turn on the lamp and the coral and your room with light up with a warm and inviting glow. Item weight: 4.2 lbs. 13 3/4 inch x 13 3/4 inch x 18 5/8 inch high; base: 5 7/8 inch x 8 inch x 14 1/4 inch high; shade: 13 3/4 inch diameter x 7 5/8 inch high. Polyresin, glass, and fabric shade. Type A, maximum Watt 40 light bulb not included. UL Recognized.